Admittedly, it’s sometimes hard to get my toddler to eat vegetables. 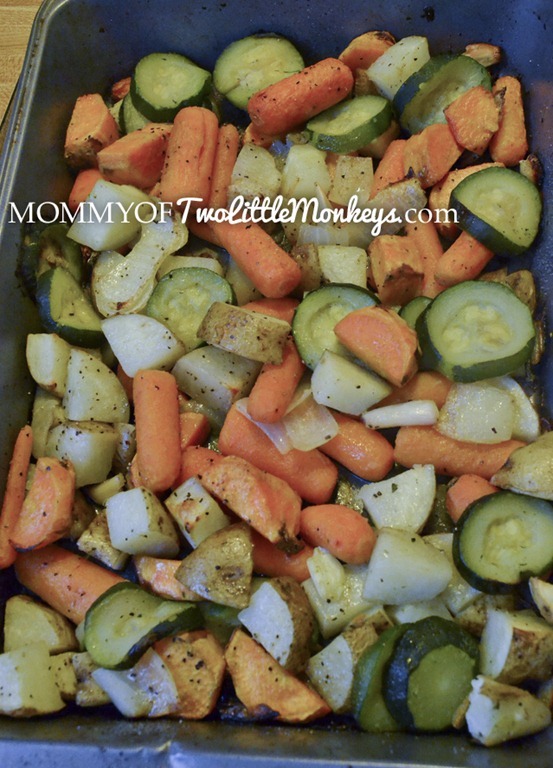 This is seriously the easiest, most delicious side dish I’ve made in a long time. And this is so good for you, too! Broil for 5 minutes for a nice brown crunch. Optional- Dust with grated parmesan for the last 10 minutes. My son enjoys eating with his hands and will pick up these delicious morsels and pop them in his mouth. Before you know it, his plate is clear and he’s had his veggies! This goes very well with a roasted chicken or even on it’s own. Whenever I make this, seemingly it’s never enough because my husband always asks if there’s more! ← Winner Announcement | Little Tikes, Spring Fever, Gund & More!